Peugeot 308 2.0 BlueHDi 180 GT 5dr EAT8 2019 Review | What Car? What Car? will save you at least £3,120, but our approved dealers could save you even more. 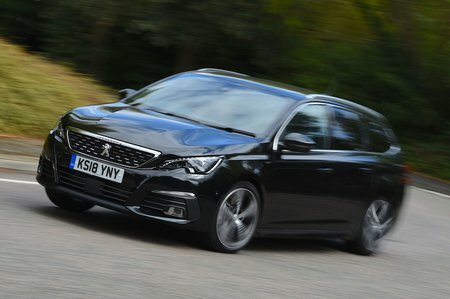 This is Peugeot’s ‘warm’ version of the 308 SW. As such, it gets more potent petrol and diesel engine choices, as well as a lowered ride height, keyless entry and start, radar cruise control and automatic emergency braking as standard, along with the ability to disengage the electronic stability control. This motor is rather gruff and its eight-speed automatic gearbox can be slow to react to manual inputs. If you want warm hatch performance coupled with long-distance range, it is a tempting proposition. Otherwise, we’d still opt for the 1.5 if you want a diesel.